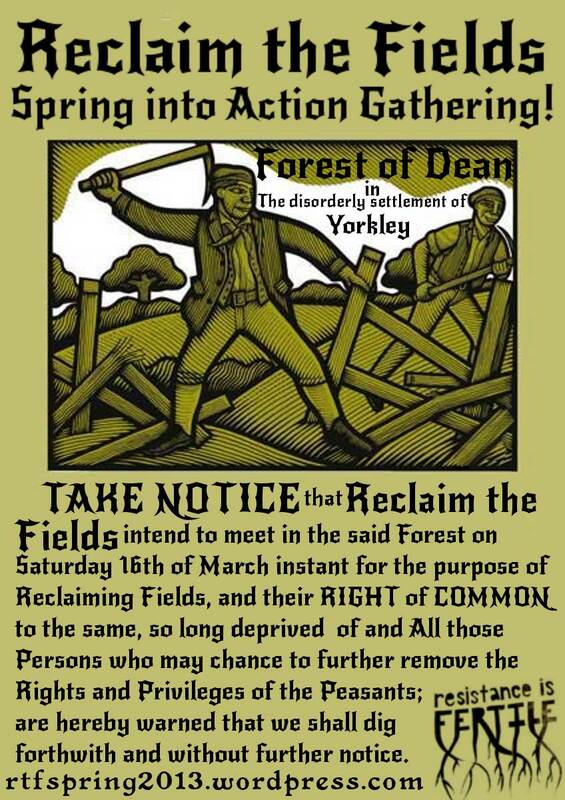 This Reclaim the Fields Spring Gathering was a very interesting one for all involved. The Wilderness Centre is a re-opened community resource, closed by the cuts, and now running on a voluntary basis. The council have tolerated and listened to us case and contained us or so they think, they were assessing us and probably building their case. The gathering was called and this seems to have pushed the hand of the council to try to get a possession order and a court injunction to prevent the gathering. The court date was the Monday before the gathering, there was a very slim chance of winning, although there was the backing of some local Freemen who advised us and came to court to speak with us. We stood up and voided the orders of the court and informed the court that it was an unlawful administrative hearing. On Tuesday the judge returned the ruling that the council should have possession and gained an injunction (which we had already voided). So racing back we barricaded ourselves into the houses and awaited the bailiffs, they never came. We did get a visit from the local police helicopter which flew round five times very low, to try to intimidate us, but they saw we were serious about defending the space. So we put out the call from behind the barricade that the situation was as such but that the gathering would still go on……. and it did. The first day we introduced the gathering and the open space concept. 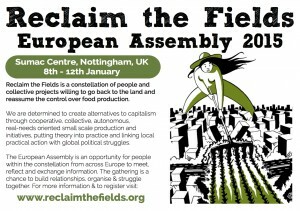 An introduction to Reclaim The Fields was given to try to give people a view of the constellation in the UK and beyond. There were some workshops proposed on the web site which were put up in the open space awaiting the arrival of the proposers of the workshops and due to the situation more practical and immediate skills were workshopped. Direct action, occupation and protest tactics were workshopped, including elements such as de-arresting, obstruction, and training to be in confrontational situations. Barricading and defence workshops went on where the group wandered the site to improve the defences and learn about our tactics for defence. Tree house building for obvious reasons was a popular workshop. The WWOLF network had a slot which threw up some interesting developments of the concept, including gaining funding and a wwolf pack concept to have a wondering band of RTFers. Later in the day an anti-fox hunting talk “for fox sake” went on and a relaxed composting gender discussion too place. All the way through the day there was gardening and mulching workshops. Day two involved more open space, with a practical feel. A Legal land options workshop & discussion took place which was very interesting. Involving land rights it led to talks on land occupations and the current projects of protect the wilderness group. There were also focuses around the planned anti-GM action on the 27th of May involving a mass action against genetically modified wheat. A wild food walk was led with the wild garlic is bursting forth and willow cutting and coppicing also took place. Other actions and new land squats were talked about as well as explorations of diverse subjects such as, “how not to be stuck with nice behaviour”, vegetable growing and composting, knots sharing, fire lighting with a spark, natural bee keeping, anti-fracking action as well as discussions around squatting. Day three brought more gardening, and a trip to the local well and spring in the beautiful sun shine. 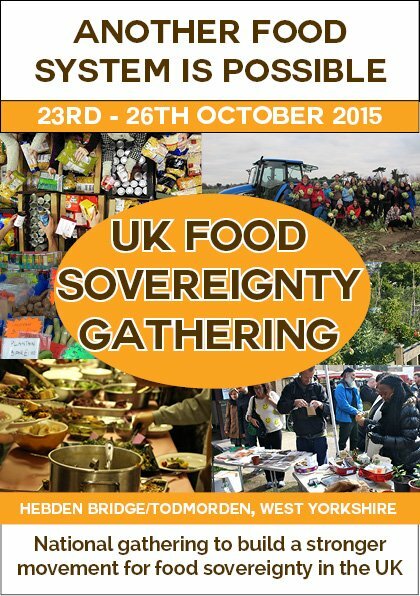 Overall despite limited resources and legal pressures, the gathering brought together more than 60 passionate people of all ages and backgrounds to bring alive the constellation of people organising for our future; to live sustainably on the land and grow food for our communities. Please note the gathering is still open & the wilderness centre still in need for solidarity. I’m not a guerilla gardener but resonate strongly with the desire of those who are or learning to be. With my mates, we’re reclaiming the field of publishing as a domain of collective self-reflection on the Occupy movement’s strategy, using our website for enhancing the action-reflection-action cycle with rich media. 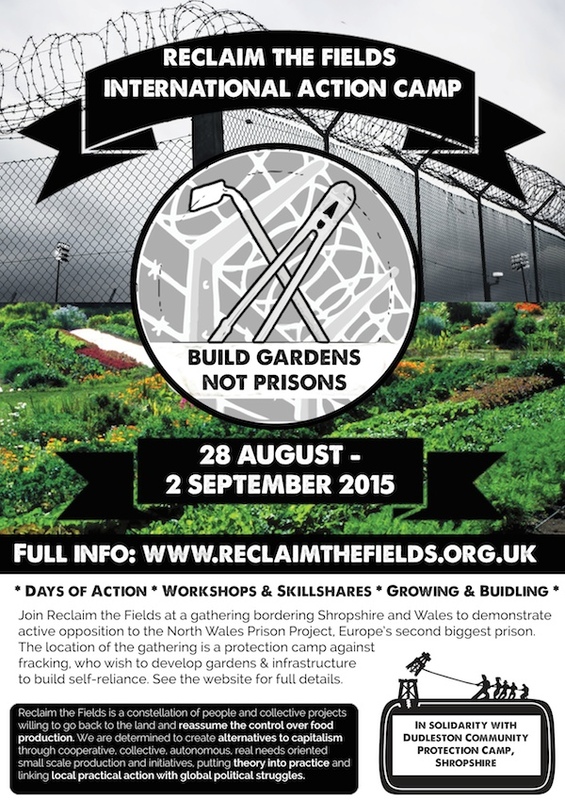 We stand in solidarity with the Reclaim of the Fields activists and have just re-published the announcement of the Spring Gathering here. We would be also happy to publish a report about the Friday session about on general Reclaim the Fields strategy and focuses for 2012 in the March issue of The Future of Occupy if somebody could get it to us by Monday 12th, the latest. Congratulations! This is an inspiring project with great relevance to our socio-economic situation. Who would be interested to join us? Unfortunately I cant join you in person this weekend but would love to stay in touch and figure out how to reclaim fields around cities. …… “Hence, the first step to be undertaken is to have the Human Rights Chart’s first article stating that every human being is granted ownership of a portion of land sufficient to grow enough food for himself of herself, in order to get people out of their multi-storey urban dwellings and back to the country — which calls for large-scale land redistribution. The article should of course stipulate that personal land cannot be sold before the owner has reached a minimum age, and that the money can only be used for specific categories of investment, along with a limitation of land surface acquirable by any individual or entity.” …. Awesome. I missed the gathering at the factory last year. Is there electric on site?